You have probably heard of social media by now right? And social media automation? Well Hootsuite is a social media automation tool you can use to schedule your social media posting with, days, weeks and months ahead! That means you don't have to login to every social media site you have and manually post your content and products etc to it, it's hard enough when you have to do a lot of engaging with prospects, buyers, clients and try to get yourself seen on social media as it is! 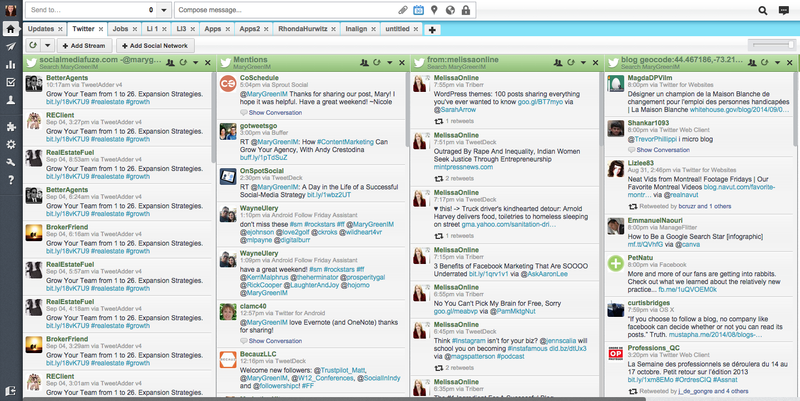 So Hootsuite can free up a lot of your time by having it post to social media for you. And there are other social media automation tools out there like Massplanner and more which are equally as good but for the purpose of Content Generation Idea 25: Using Hootsuite to find Trending Topics, we'll be talking about using Hootsuite to actively engage in Social Listening to find trending topics, questions and other stuff that you can find that would make for super hot content to create for your blog articles, social media posts, videos and more! So yeah, there are also several other ways to find trending topics in which you can gain some content ideas from, just browsing different social media sites and searching for things related to your niche, business or product or service etc. Searching for things using those #hashtags that are applicable and related to your niche industry and business. But with Hootsuite, you can connect most of your social media (up to 3 with the free plan) sites anyway. Enough for Facebook, Twitter and Instagram maybe. What you'll need to do is create some streams. Streams are where everything from your social media sites like recent posts and updates and things of people that they post etc in the timeline get shown in the stream on Hootsuite. Then just look through these streams all on Hootsuit. You can set up streams from keywords, mentions or even those other big leaders in your niche. Then you just need to look through these every day and eventually you'll start coming across lots of things you can see which you can use for content generation ideas! Monitor mentions, reply to comments and engage with new and existing followers. Listen for conversations by keyword, find new leads and engage with influencers in your social community. Already know what you're looking for? Use the stream builder to set-up specific streams DIY style. You can give your friends or colleagues access to one of your social networking sites so they can post to it with Hootsuite. And of course also use it for coming up with great content ideas too! Do you use Hootsuite for this reason or any of the reasons stated here? I've heard of hootsuite in the past, but never had time to use it for any reason. I think this is a great way to generate content in the sense that I could find ideas from doing so. Thanks for the great tips again. I've also heard of Hootsuite and of using it in this way. Generating content from social media is an organic and original way to get content. This, I think would really work especially on a blog post that often calls for real life experiences.Normally I just go to Facebook. Thanks for this tip, I'm sure it will greatly improve my writing. I have tried Hootsuite for automating my social media posting. It never occurred to me it could be used to spot trends. This is a brilliant suggestion. It's good to know it's offered to a free user. What are some reasons to use WordClerks for your content requirements? How do you feel about spinning content?